6. Study the data provided below and answer the questions that follow. 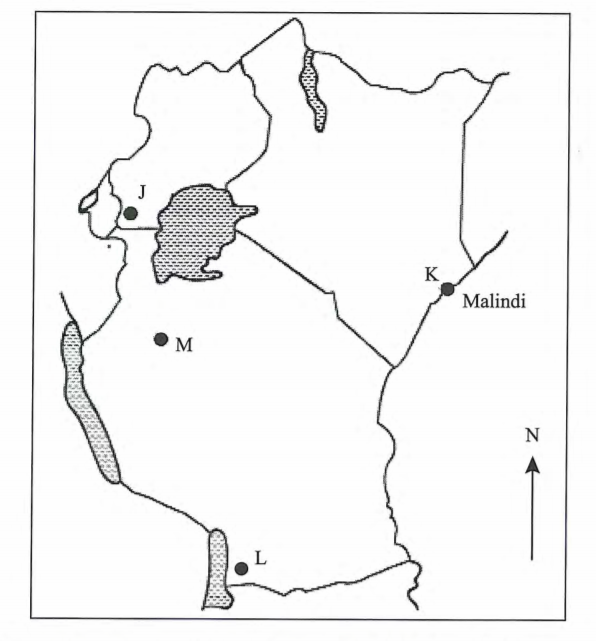 (c)	The map below shows location of minerals in East Africa. Use it to answer question (e) (i). 10. The pyramids below represent the population structure of Kenya and Sweden in the year 2009.